Paired up with our Berlin Gardens Bar Table, or arranged together for a serene and peaceful seating area, our Berlin Gardens Poly Cozi-Back Bar Stools are the perfect option when adding seating to your outdoor decor! Handcrafted from eco-friendly poly and finished to perfection, these Cozi-Back Bar Stools are made to withstand life outdoors and keep you sitting comfortably for decades to come! 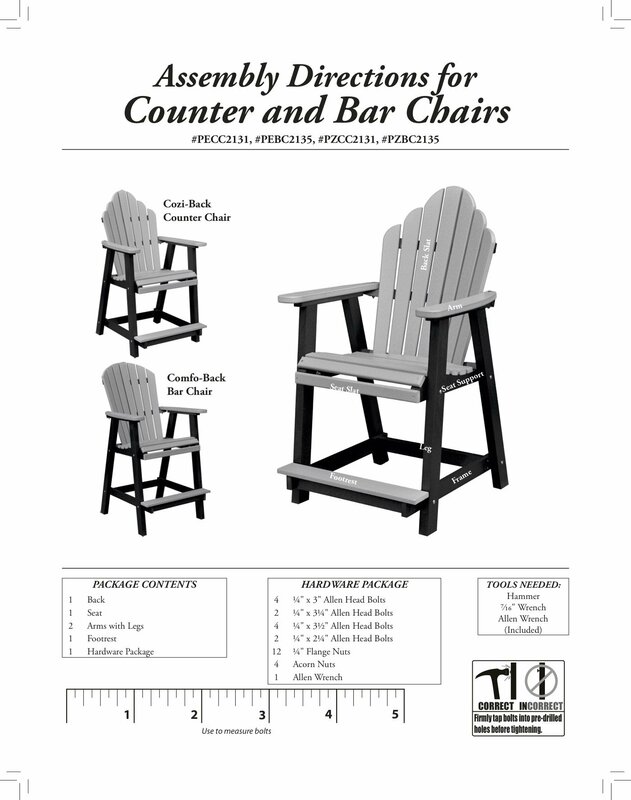 Each Berlin Gardens Bar Stool is constructed by highly skilled Amish woodworkers, using a material called Poly Lumber. 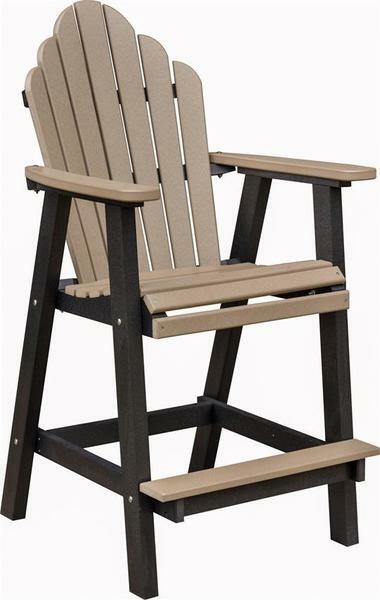 Using recycled plastic (milk jugs and detergent botles), manufacturers form planks of poly lumber, similar to traditional wood, but without the regular maintenance that naturally comes with wooden outdoor furniture. Your poly lumber pieces will not chip, crack, rot, or develop mold, even after being left out all year long. And, since it's backed by a twenty year warranty for residential use, you can be sure that your investment in your own outdoor oasis is sure to last many years!